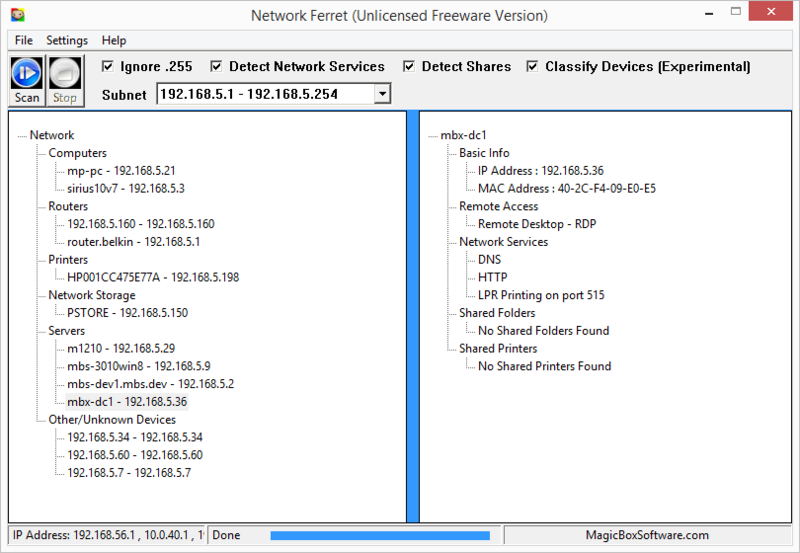 MBX Network Ferret is a full featured network scanner that scans your LAN to find devices, network services and shares and connect you to those resources – FAST. Backed by at least 1 full time developer and employing a user driven system of development Magic Box Software can bring you not only a great network scanning tool, but also new features you need – FAST – just ask. Try the FREE edition to see just how simple, fast and effective Network Ferret is in your environment. MBX Network Ferret Personal and MBX Network Ferret Pro offer additional features as detailed below.